Vanguard founder John Bogle, who just died, was a money maverick who made a lot of average people wealthier, thanks to his funds. This means many people were able to provide a much better standard of living for themselves and their loved ones. Bogle was a man who turned the mutual fund industry upside down with the revolutionary idea of passive investing. His idea was not to actively try to pick certain stocks, but passively and cheaply, invest in an index. His funds didn’t try to get huge returns, just consistently good ones at the lowest possible price. A go for broke approach often gets lousy returns for the investor, Bogle believed. By contrast, consistently obtaining better returns at a lower price, he said, is a good approach for the average investor. That, he believed, was much better than what was offered by most funds when he started his then pipsqueak Vanguard fund company in the 1970s. Forty years later, Vanguard is now the biggest fund complex, with the largest amount of individual assets. John Bogle didn’t invent index investing. It had previously been used by some institutional investors before. Nevertheless, his upstart company, the Vanguard Group, brought it to the masses. 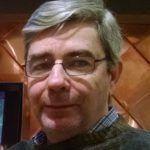 He found an effective way to bring passive investing to the average individual investor, struggling to find a reasonable way to invest for the long term. Bogle, who I once had the pleasure of meeting at a press conference, consistently warned that most funds, and most of the securities industry, was then offering products that were outrageously expensive. Indeed, some fund companies spend money like the federal government. They get about as ineffective returns for the dollar as that provided by our masters on the Potomac to the groaning masses of the overtaxed. The individual investor, Bogle consistently and accurately argued, was being hurt by much of the securities industry: The investor was overcharged and for funds that were often mediocre and sometimes rotten as measured by long term numbers. 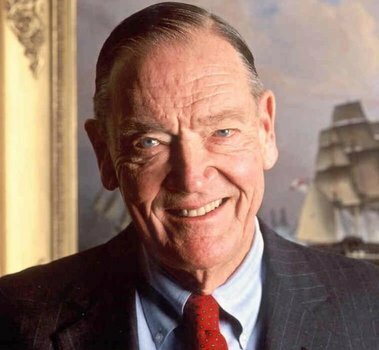 In a recent book we reviewed here, Bogle detailed the problems he confronted when he started Vanguard. Back in the beginning days of Vanguard, the fund industry was a very different place. For instance, I remember, when I began writing about funds in the late 1980s, most funds came with sales charges; often as high as eight percent. Think of it. Let’s say you invested, or tried to invest, $10,000 in a fund. You had a big haircut coming. Only $9,200 of your money actually was invested. The rest went into a sales charge. It was, I thought, obscene. But there were more hijinks. On top of that most actively managed funds carried high expense ratios; maybe one or one and a half percent higher than Vanguard funds. The latter were usually index funds. They did little trading and charged a pittance compared to the high priced, actively managed, funds. Add another painful fact: Most of these pricy funds don’t beat indexes. And only a small percentage of the funds that do beat indexes, do it on a regular basis. And the few winners among active funds often changes from year to year, making it difficult or well-nigh impossible to find the hot manager. One reaches an inevitable conclusion: Passive investing in general is a much better deal than active investing for the average investor. The latter was a conclusion reached by Warren Buffett, who has been a big Bogle fan. Bogle’s argument was that low costs are very important over the long run. When one figures in over the other advantages of avoiding active management—such as passive investing triggers a smaller tax bill than active investing—it is reasonable to say that passive investing, on average, can generate about two percent better returns than active investing. What does this mean for a person who Bogle was designing his products for, the average Joe? Over the long term it was huge. Let’s say he or she invested $300 a month over 40 years. One person gets seven percent on his or her money. That person has some $792,000 after 40 years. The other person, who found a way to get two percent better returns, ends up with $1,414,000. That is the difference that Bogle provided for millions of investors. Buffett said that Bogle had done so much for the individual investor that they should erect a statute to him. I suggest putting it in the middle of Wall Street, where Bogle generated lots of critics. They were people who insisted, in face of evidence to the contrary, that passive investing was “Un-American” or that it was a form of Marxism. The latter criticism is hilarious. It was offered by a big institutional brokerage firm that, to this point, will not provide me with the literature in which it compared Bogle to Marx. My wife and I have used Vanguard funds for almost thirty years. And we are financially independent today in large part because of Vanguard funds. So, you can put us down for a contribution to that statute.